When I was a kid, I thought the dark side of the moon (also known as "the far side") was a metaphor. (I can't tell you what I thought that metaphor was supposed to mean; perhaps it just represented something mythically inaccessible.) I figured certainly the moon must rotate while it orbits, so we must eventually see all of it, right? I was in high school before I was disabused of this notion, despite having looked at the moon plenty of times and apparently not noticing its utter sameness, which was strong evidence that indeed I was always seeing one side of it. This is another video from the excellent (and relatively new) MinuteEarth YouTube channel. They answer lots of "I hadn't thought to ask that" questions in a succinct way, and cite their sources in the video descriptions. Good stuff! 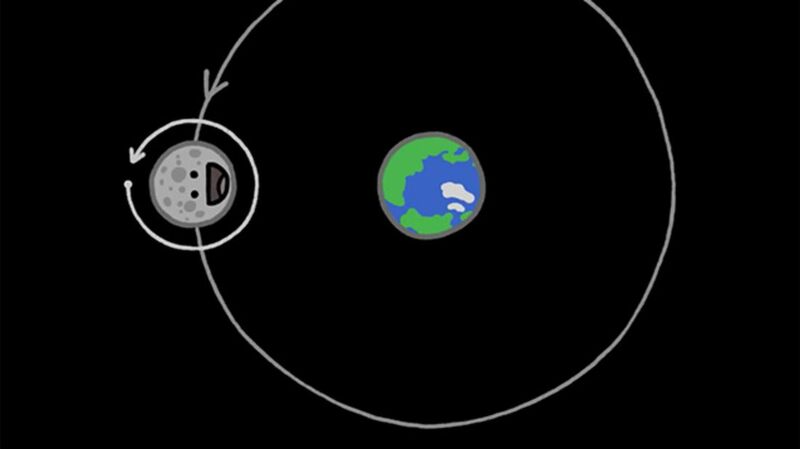 Strongly recommended related viewing: Video Shows Phases of the Moon from its Dark Side.